I understand that daily routine in today’s world makes it difficult to find time for ourselves. With ever increasing demands of being available 24×7, employers and employees alike are working long hours – being at the desk, often hunched over laptops/tablets or smartphones, skipping meals, conference calls – rarely taking a break. Gradually it starts to take toll on the mind and body. Stress, anxiety, physical and adrenal fatigue follows quickly, leading to other medical issues that we call “parcels of new age”. » Awareness to the individual well-being improves concentration and decision-making skills. » Improves alertness and ability to react more calmly in demanding situations. » Helps in relieving head, neck and back strain, insomnia, high blood pressure and work-related injuries from repetitive motion. » Employees that are happy and full of energy, create a healthy and productive work culture. » Enhanced employee attitude and general well-being in the workplace reduces employee turn over, and makes it more attractive to potential employees. I design wellness programs keeping your company’s specific needs in mind to make it fulfilling and valuable experience. Ranging from 30 minutes to 1.5 hours long sessions, these workshop style programs are great in providing a private session feel in a group atmosphere. No Need for big studio space. Conference rooms, cafeterias, lounges, any open space works well. Chair seating or ground seating. It is for Everyone and Everybody. My sessions are carefully designed to be accessible to everyone, regardless of being new or experienced in yoga. 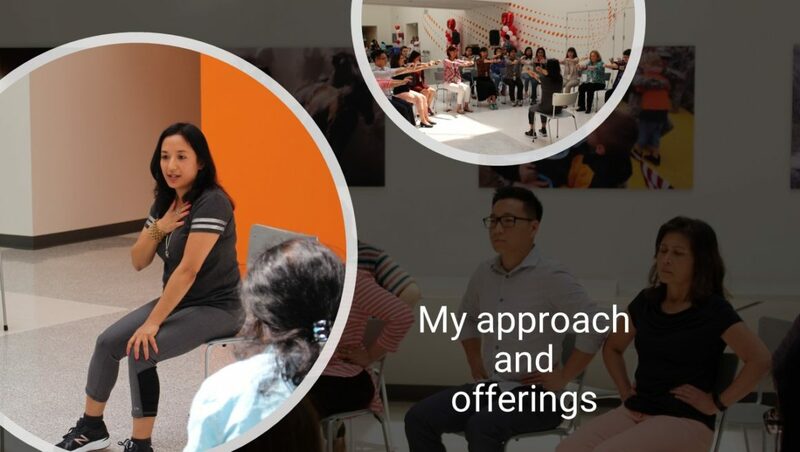 My objective is to teach the traditional ways of well-being, with awareness to body alignment and breath, that one can carry with them as a tool to cultivate concentration, calmness and overcome self-limiting beliefs. 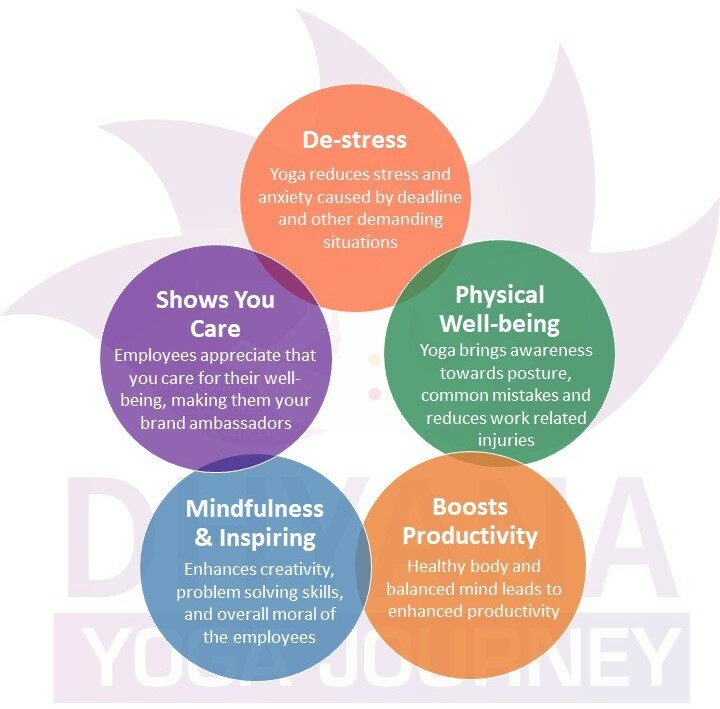 Interested to bring my wellness programs to your workplace?